Hiding in My Craft Room: Aleene's Glue Celebration Giveaway! It's time for another One Million page views celebration giveaway! In case you haven't heard of Aleene's Tack it Over and Over Glue about 4 1/2 years ago I was looking for a way to get my Cricut mats sticky again. I researched and researched and found this glue and thought what if I add some water to this, making it a little less sticky and put it on my mat. Well, it worked so I decided to make a video and share on YouTube how I discovered how to make my Cricut mats sticky using Aleene's Tack it Over and Over! I still get questions and I appreciate all the positive response I've had. Thank YOU! The solution I use it 1 to 1. So equal parts of Aleene's Tack it Over and Over and water. Yes, it has to be that glue! I find it at JoAnn's or Michaels but not every one I go to has it in stock or carries it. If you ask someone that works there about it they will look at you like your crazy! Lol! I've also seen it sold online. When my mats start loosing their sticky about half the time all I need to do is give my mats a good scrubbing with foamy kitchen soap, rinse, let them air dry, and they are back to usable! This gets the debris and bits of paper off and reveals the wonderful sticky again! Other times I just add the sticky solution following the video below. I do get asked about 'cleaning' the mats. You know, getting all the gunk completely off and making it completely unsticky. A little of the residue or discoloration doesn't bother me. They might look old but they work better than NEW! Buuuut, if it bothers you then you can use any glue remover to thoroughly clean it then apply sticky solution. Let me warn you, it is messy and don't get it on the carpet. Learned that the hard way. I just used goo gone and the scraper in the Cricut Essentials tool kit but I wish I hadn't, it's still a little sticky. I wish I had used instead a pampered chef scraper. I have so many of those, I wouldn't mind just throwing it away afterward. I like to keep a mat that is a little less sticky for thinner and delicate papers. Cricut now sells them in different sticky strengths. They are catching up with us and our great ideas! Please keep the questions coming! Here's my video I did soooo long ago! 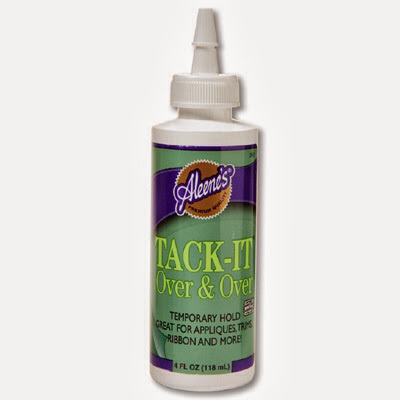 To celebrate and as a Thank You for hitting One Million page views I'm giving away a bottle of Aleene's Tack it Over and Over Glue! All you have to do to get entered into the giveaway is leave one comment on this post! I have only used this on Cricut mats because up until recently that's all I had. I will be using this on my Brother Scan N Cut mats soon! Please in your comment let us / me know if you use it on others mats and what you think! Okay, so I'm having fun with this rafflecopter! So you have some EXTRA ways to get entered! Plus, I think this will help to get the WINNERS notified! Be sure and check off all your entries! I appreciate each and every one of you! And I know that without you this wouldn't be any fun! I love this glue and it is all thanks to YOU! I watched your video on YouTube even before I was aware of your blog and decided to give this method of re-stickying my mats a try. I previously used the Zig 2 way glue method and I really like the Aleene's much more! Plus it is a lot cheaper since a little goes a long way. It is also faster to apply since you brush it on. THANK YOU for opening my world up to this technique! I've never seen this glue, but it looks like it works very well! I think I'll have to try and find it and see how well it works on my mats. I usually just keep buying new mats, but that gets so expensive. Thanks for the great video tutorial! I have never used that glue before. I will be pinning this recipe though because I use spray glue on my mats and would love to try this! Oh my - I have been tearing my hair out looking for ways to sort my (not so) sticky mats out. I shall be taking a look at your tutorial now. Thank you so much for saving my sanity!!! Awesome giveaway! I have not used this glue before and would love to have some! Thank you and congrats on your 1 million page views - that's fabulous! I haven't used this glue before. I remember way back when that Alene used to have a craft show. She always had the coolest crafts. Wish they had more shows like that now! I have this glue but had not thought to use it to refurbish my mats. I use it on unmounted rubber stamps. I've also removed many of my rubber stamps from the wood blocks to make better use of the storage space and help me organize my stamps better. When I get them off the block, I just apply this to the back and let it sit overnight. The next day they are ready to cling to the acrylic blocks or to CD cases... which is how I store my stamps. Great stuff! Glad to have another use for it!!! For sure now I need more! Thanks for a chance to win. I guess this could also work for clings and clear stamps that don't stick to the block anymore... That would be great! Great glue - I have it used it and find it at Joann's - have a lovely week! Great prize. I have looked for this product here in NY but never find it. Thanks. I have been looking for this glue...haven't been able to find it yet.....so keeping my fingers crossed. I love learning about different glues! I tend to blindly buy glue and don't always like what I bought! Thanks for sharing! I could really use this. I had several mats that need refreshing. Congrats on your milestone and thanks for the great giveaways!